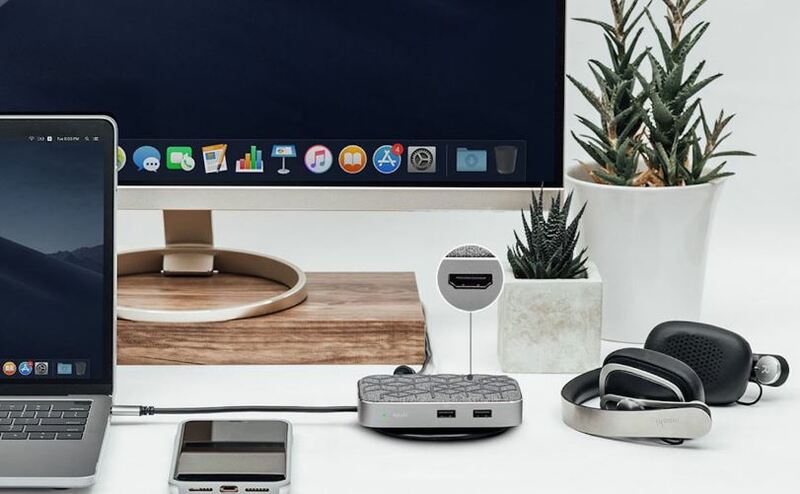 The Moshi Symbus Q Wireless Charging USB-C Dock gives you the ability to turn your laptop into a desktop system. 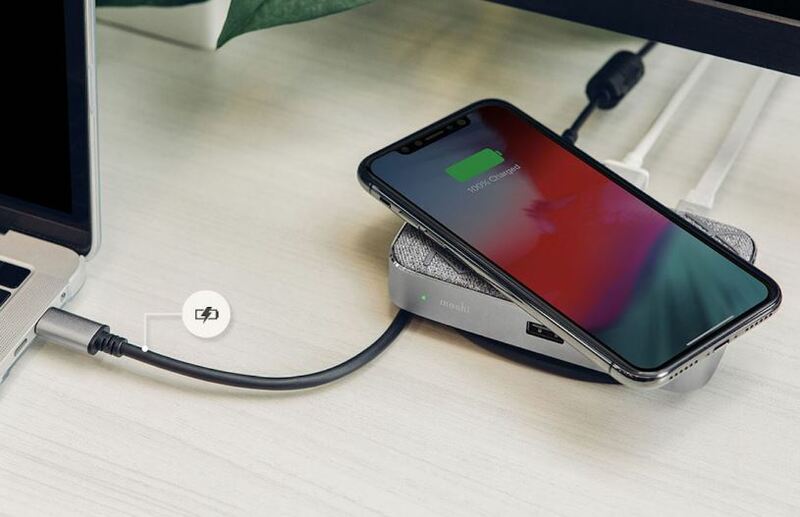 This very handy USB-C hub will wirelessly charge your smartphone while keeping all your devices connected. Unlike the average wireless chargers, this is capable of charging through phone cases up to 5mm thick. Additionally, it supports Samsung’s 9W and Apple’s 7.5W fast charging. Being a USB-C hub, you will be able to connect USB peripherals like a mouse, keyboard or external storage. 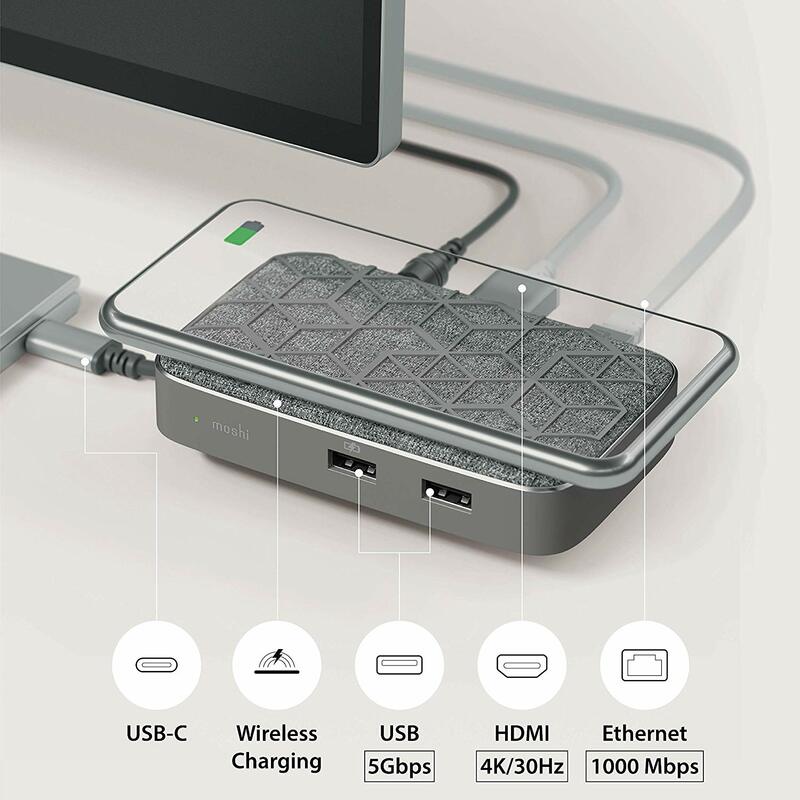 It has 6 ports which includes Dual USB-A, HDMI 4K, Gigabit Ethernet 1000 Mbps, USB PD Fast-Charging 60 W, Thunderbolt 3 – Silver/Black. 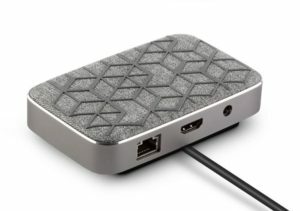 It also capable of connecting your USB-C laptop or MacBook to wired internet or an HDMI monitor and with state-of-the-art USB-C chips, this awesome device supports 4K video output. The Symbus Q will also support digital surround sound to projectors, AV receivers, and displays. 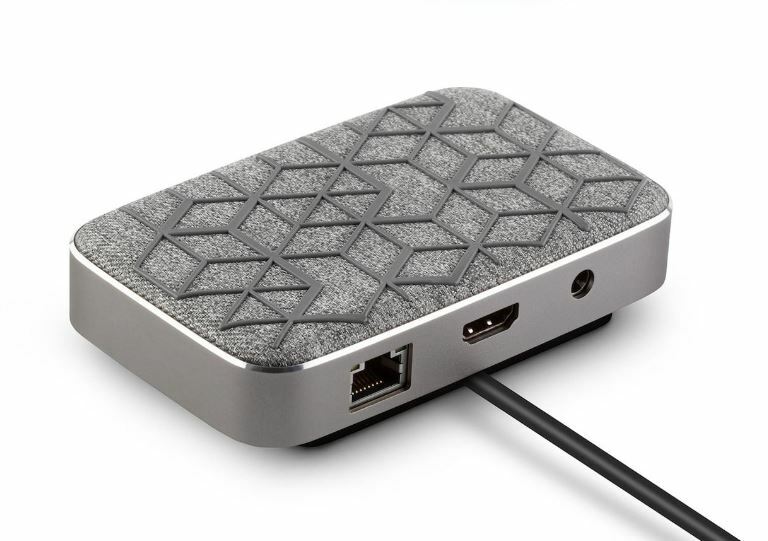 Wrapped in aluminium, the Moshi Symbus Q Wireless Charging USB-C Dock was awarded by 2019 CES Innovative Awards.